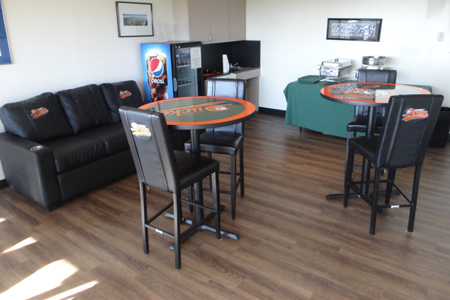 You can enjoy the excitement of a Long Island Ducks game from one of our fully-furnished luxury suites. Our suites are rented on a nightly basis. The cost for each suite includes 20 tickets, cable TV, air conditioning, balcony seating and access to the "Duck Club" restaurant and bar. 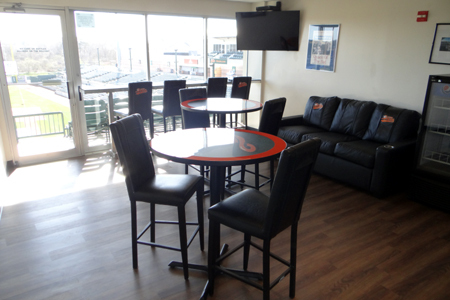 Suites are the perfect location to hold your company event, birthday party, anniversary celebration, bachelor party and so much more. Suite holders will also be able to purchase a wide variety of food and beverage options from an exclusive luxury suite menu. CLICK HERE to view the 2019 Suite and Catering Menu, courtesy of Centerplate Catering. For additional information on Luxury Suites, please contact The Long Island Ducks Group Sales Department at 631-940-DUCK (3825), email us at tickets@liducks.com, or fill out the form below.